Fellowship in Prayer awarded a Sacred Journey Grant to Fractured Atlas in 2017 to support Faith Matters Network, one of their sponsored projects. 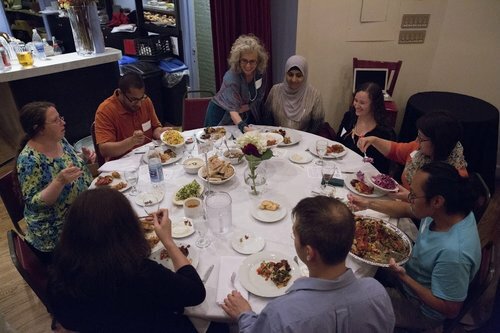 Faith Matters Network hosts People’s Suppers in various U.S. cities in partnership with faith based organizations and congregations to specifically name, confront, and create bridges over a racial justice issue at stake in their local community. As a people of color led collective, Faith Matters Network trains, connects, convenes and amplifies marginalized people of faith, primarily people of color, to chart a new moral horizon.